Properly sealed henna should never flake off like store bought henna. Natural henna has sugar mixed into the paste, but after using the Sealant Spray, the dried henna should be basically “glued” to your skin. This can cause some frustration when it comes to scraping the “glued” henna off. Note: If you are using meditape, it will peel some of the henna off for you when you remove the tape. The remaining henna should be removed with the same steps below. 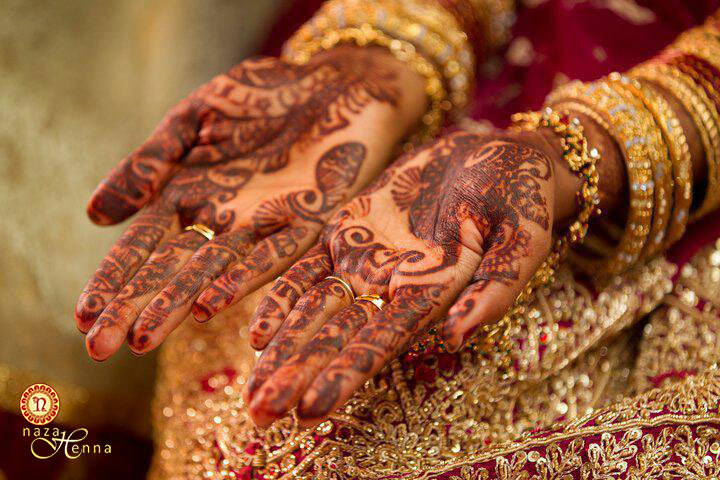 Take cooking oil and liberally cover all of the henna with it. The goal is to soak all of the dry henna with the oil, making it easier to scrape off. Dab the oil and wait a few minutes. Using a paper towel over the sink: scrape as much henna off as possible. Repeat steps 1 and 2 until all of the henna is removed. Tip: use a spoon for scraping if needed. If little dots remain, that’s okay, it will flake off over the day. Avoid water for the first 24 hours, if you have to shower or do dishes, wear gloves. Remember to always moisturize with oil or a balm like our all natural “We’re da Balm” throughout the day. 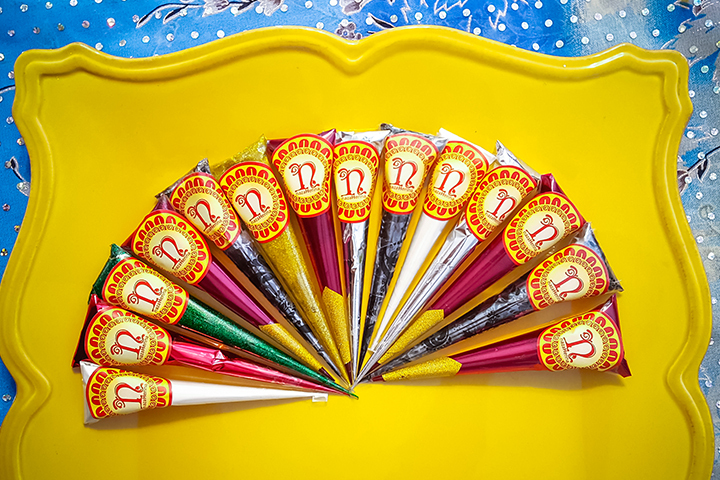 In 24-36 hours your henna will mature from a light orange to a dark burgundy reddish-brown. 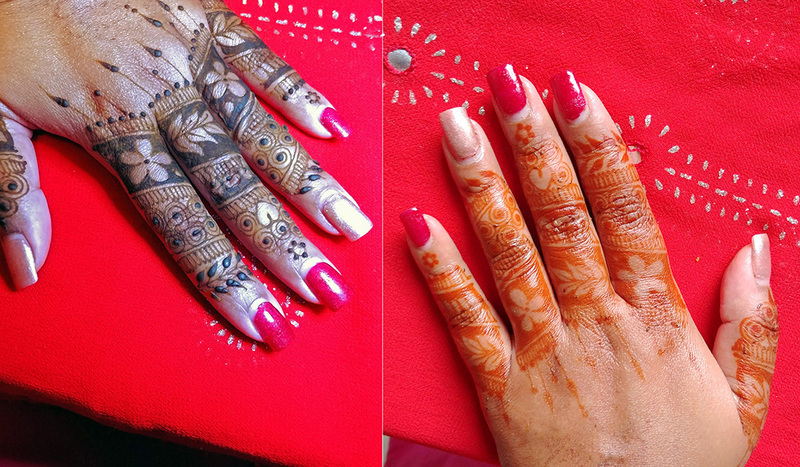 On the palms, the henna stain can even reach that blackish-red! In the below video, I wrapped my henna overnight using medi-tape, and removed it in the morning. Then followed the oil instructions above.